Who is Safety Fest TN? The event, a week of over 100 safety & health classes, sessions and demonstrations is FREE to everyone who registers and made possible by nearly 100 organizations! 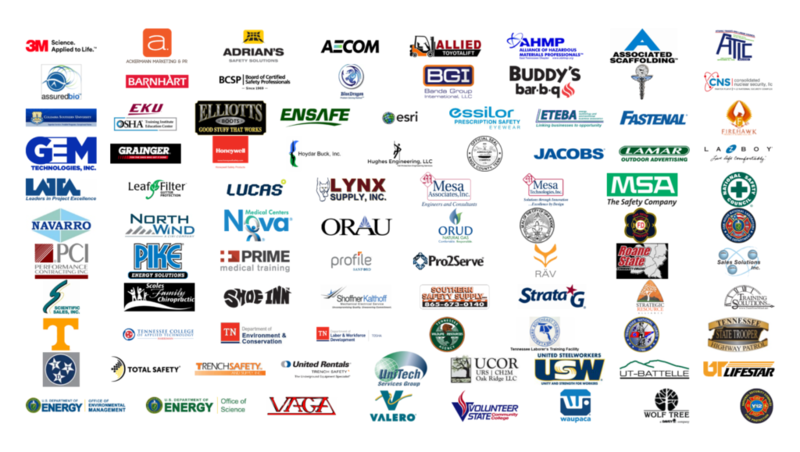 Safety Fest TN is local, state and federal governments; small and large businesses; colleges and universities; and non-profit organizations coming together to promote safety at work, at home, and in the community! Last year’s event included 103 free safety classes, sessions, and demonstrations. The 77 instructors and presenters were generously provided by organizations, just like yours…giving back to the community. Your organization can partner, sponsor or provide resources too!